Lord McCluskey doesn’t miss the mark in commenting on the scrapping of the removal of corroboration from the Criminal Justice (Scotland) Bill (your report, 23 April). One wonders how much the brainchild of former justice secretary Kenny MacAskill has cost the public purse. Then again, after Police Scotland was established the courts had to sort out who did what between the new Chief Constable’s role and highly expensive Scottish Police Authority. Intelligent and competent policing is a more effective means of bringing out the facts in the interests of justice. 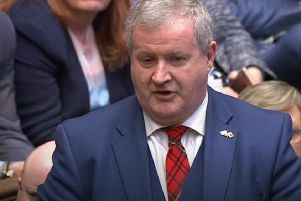 Ironically, when the issue of corroboration was being debated at Holyrood the former justice secretary interjected while a Tory MSP was speaking to say Scotland was alone in requiring corroboration. Surely this should be a factor in independence because we Scots are different. I beg to differ from Lord McCluskey when he demands that the Scottish Government listens to other voices such as the judiciary, the churches, the press and trades unions (your report, 23 April). What if I am not a member of any of these special interest groups? Have I no rights? In a democracy the government should listen to the people, and in the Scottish system that means parliament, the MSPs, as the people’s elected representatives, for better or for worse. There is of course a better system: the Swiss one of consulting the people directly in a referendum. The Swiss have four referendum days a year with half a dozen items to be decided on each. Not everything goes to a referendum as its very possibility encourages sensible legislation. They have no Lords, Ladies, Dukes or Knights who know better; no-one setting themselves up as having special authority. The system has worked since 1292. There are problems with it, of course, consider Trident, for example. The Swiss government wanted to renew its fighter air force with Saab Gripens last year but the people turned it down, preferring to spend the money on education. They have not been able to bomb any country in living memory and have to content themselves with bandaging up the wounded on both sides through the work of the Red Cross.